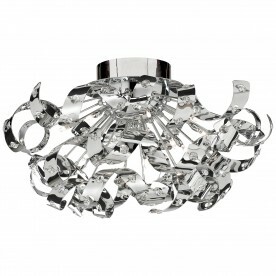 The Curls chrome 6 light pendant with inset crystal beads looks magnificent on any bedroom, living room, dining room or kitchen ceiling. 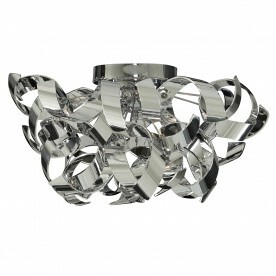 The impressive chrome finish Curls are lined with crystal beads which sparkle beautifully to draw the eye and throw a modern urban twist in your decor. 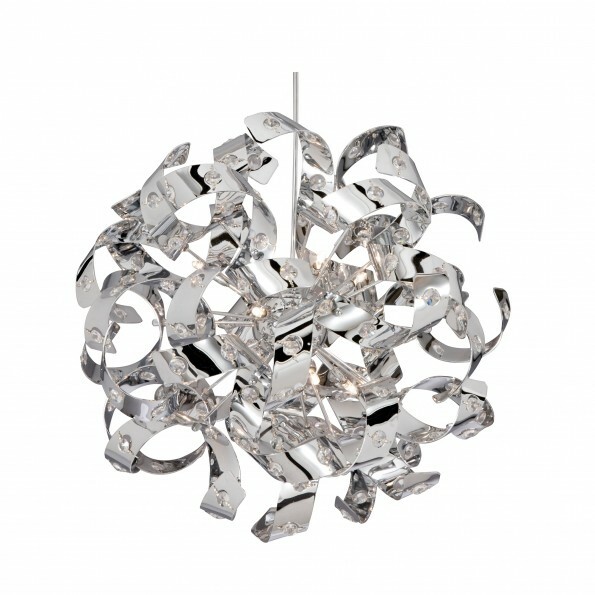 This ceiling light looks lovely when the lights are off, and when the halogen lights are turned on, the effect is absolutely stunning.